15% OFF + Extra $20 evo Coupon - Verified 37 mins ago! Hoping to save money on your extreme sports gear and clothing, but aren't sure where to look? Why not check out "Evo - Mountain, Street and Water," where you can pick up top brands at great prices? At Coupofy we have all the latest Evo deals, whether you're looking for an Evo promo code or sales and other promotions. We've gathered everything on one page so you never have to waste your time searching the web for something that will work. We also carry coupons for all other leading online stores and service providers, so remember to check back whenever you shop online and you're sure to make great savings! Details: Get Free registration and 30 minutes. Details: Sale! Get an Extra 30% Off Select Clothing, Shoes & Accessories. Details: End of Season Deals! Get up to 70% off Last Chair Sale. Details: New Price Drops! Get up to 30% off 2018 Ski, Snowboard & Outerwear. Details: Last Chance Sale! Get Up to 60% Off New Price Drops On Ski, Snowboard, Clothing and more. Exclusions: Smith sunglasses Details: Buy one, Get one 50% off sale clothing, footwear and accessories. Details: Get $600 off summer shred trip. Details: Get $10 off when you spend $50, $25 off when you spend $100 on Select Clothing, Footwear & Accessories. Evo is a leading brand and retailer of extreme sports gear and clothing, covering activities across mountain, street and sea. The privately held company is based out of Seattle, Washington, and sells its product range from several flagship stores in Seattle, Portland and Denver, as well as locations within many other specialty retailers known as La Familia Partners. You can also get the full range online at EVO.com. Here customers can easily place orders and pay online, receiving fast home delivery, along with many different ways to make savings. One of the easiest ways to get money off your online orders is to use an EVO coupon when you go to the store's checkout. Here at Coupofy we have the most up to date EVO coupon list on the web. All you need to do is click the one you want to use to reveal the full terms and instructions on how to redeem it. This, along with their broad range and popular brands has allowed the company's popularity to soar since the site was launched back in 2001. Evo was founded by skiing enthusiast Bryce Phillips in 2001 from his Seattle apartment as a modest website selling his own collection of equipment. The name represents his philosophy of always changing and EVOlving with the times, and the company quickly grew and has since evolved in to a 100 strong team of employees, with thousands of individual products available. "Evo explores the collaboration between culture and sport by seamlessly joining art, music, streetwear, and the ever-changing sports we love. Our aim is to bring all things relevant to the urban, action sports lifestyle into one creative space," reads their about page. The Better Business Bureau ranks the Evo online store as an A+, meaning it has always delivered a high level of customer care and rarely has any complaints. 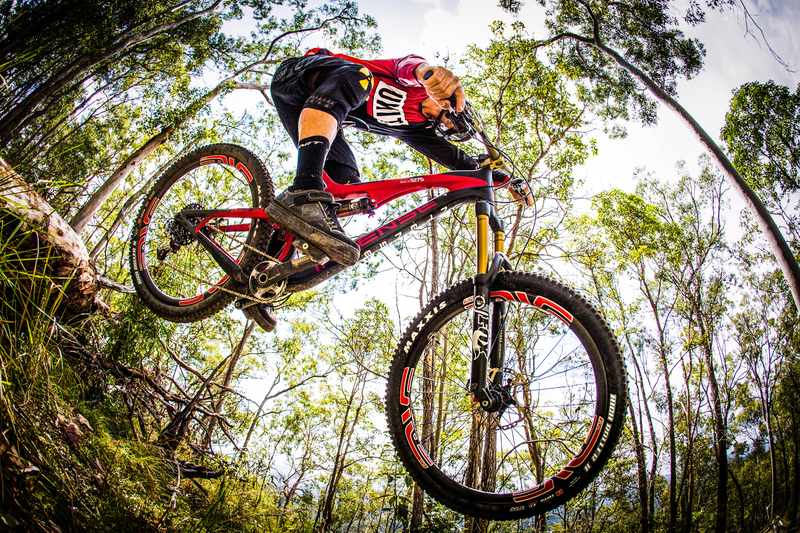 As one of the most successful retailers of extreme sports gear and clothing, Evo has one of the most comprehensive selections of products available. This encompasses many well known brands, including The North Face, Patagonia, Oakley, and Burton. Everything you could possibly need across the street, mountain and sea is available, with options for men, women, and children of all sizes. What's more is they are constantly running sales and promotions to help you make savings on your orders, and if you sign up as an affiliate you can earn commission as well. The specific Evo discount code you choose from our collection will depend on what you order and if you meet the terms of the offer. For example some coupons are only redeemable for certain brands, types of product or if you spend over a certain amount. You can also only use one promo code at Evo per order, so make sure it's the one that will gets you the best deal! Categories you will find on the site include Skiing, Snowboarding, Wakeboarding, Biking, Skateboarding, Surfing, Accessories, Shoes, and Clothing (Men, Women, Kids). There is also a dedicated page for sale items, the price of which you can further reduce if you have a Evo discount code. In each category you will find all the gear you need up to a professional level, including replacement parts, safety items and accessories. Popular Brands stocked by Evo include Vans, Anon, Volcom, K2, Transition, ARC'TERYX, Armada, Oakley, Patagonia, Canada Goose, Lib Tech, The North Face, Atomic, Giro, Dakine, Arbor, Electric, Smith, and hundreds of others. Many of these will have products that are applicable for Evo deals and discounts. 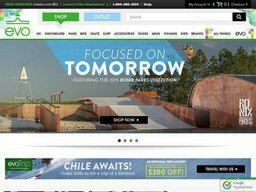 Although they often change, some of the bestsellers on the site include the Armada TST evoAIR Skis set, K2 Ryker Snowboard Boots, Ronix Covert Front Zip CGA Wakeboard Vest, Traitor Ruben Complete Bike, Softech Rocket Attack 52'' Surfboard, Patagonia Synchilla Snap-T Pullover, and many others. The site also allows you to book adventure holidays, marketed at Evo Trip. "They are the most immediate way to experience the blend of sport and culture that makes the evo lifestyle all that it is." Snowboarding on Japan? Mountain biking in Chile? There are many options to choose from. If you are buying gifts for a loved one, but don't know what to choose, there are gift cards available in values up to $500. They can then redeem the card on the site and make their own decision what to buy. Normal Sales: Just like in a regular store, online sales feature select items at a discounted price for a limited period of time or until that item is out of stock. You do not need to redeem any codes to benefit from the savings, just choose any item marked as sale and add it to your online cart as normal. Coupon for Evo: A coupon is simply a word or string of characters that you redeem to get a special offer or discount at the online store. If you copy and paste one of the codes from Coupofy, you are sure to make great savings. While only one coupon at Evo is permitted per order, they can often be used alongside normal sales to get an even bigger discount. New Customer Discount: As a way of thanking you for trying Evo the store will sometimes reward new customers with a special one time discount on their first order. This is usually presented via a pop-up on the home page or email, so keep your eyes peeled! It will also usually be in the form of an evo promo code for 2016, or the applicable year. Shipping Offer: Every so often you will be able to qualify for free shipping if you spend over a certain amount or if there's an Evo free shipping code available to redeem. Currently if you spend over $50 you can qualify for free shipping. Blispay Discount: If you pay through the Blispay financing option, you can benefit from no payments and interest for 6 months, on orders over $199, and you get 2% cashback in the process - a pretty nice discount. Affiliate Program: If you sign up to their affiliate program you can earn commission by referring friends via a special web link. If they buy products you make money! You are advised to browse to this page before placing your order, to see what offers are currently available. However you can sometimes find some exclusives by signing up to the Evo email newsletter. They also occasionally share Evo coupons for 2016 via social media, so be sure to follow them on Facebook, Instagram, Twitter, Youtube, and Pinterest. To make purchases at Evo you can give them a call on either 1 866 386 1590. But the easiest option is to create an online account and order from the site, where you can redeem a coupon for Evo products easily during checkout. This will only take a few moments and will allow you to checkout fast, track your orders and view your order history, as well as save your payment details and access other useful features. The website uses a typical cart system, where you browse for items and add them to your order. If you've shopped online before you'll have no trouble at Evo.com. Their thousands of products are organized in to relevant categories and subcategories so you can find what you're looking for quickly, and there is also a search bar at the top of every page so you can find items based on relevant search terms. You can also refine product listings based on color, size, price, features, and all sorts of other applicable filters, depending on the category. Most of these items will be purchasable with a promo code for Evo, so make sure you look for one of these discounts first. When you click on to a product page you will see several photos of the product, and a detailed description with all the technical specifications. There are also ratings and reviews left by other customers to help each other make informed purchasing decisions. If you would like to purchase the product, all you have to do is enter a quantity, select a size and any other applicable options and hit "Add To Cart" button. Once you've added everything you want to your cart, click the icon at the top of the page to go to checkout. Here you will observe a special promo box where you must enter any Evo discount code. If the code is still valid you will receive confirmation and your order will change to reflect the terms of the offer. After you have claimed any deals at Evo, you will be directed to the payment page. You can pay straight away on the site using any common credit card (such as Visa, Mastercard, American Express, or Discover). You will also be prompted to use Mastercard Secure Code or Verified by Visa, if you are enrolled in these security measures with your card issuer. If you have an Evo gift card, you can redeem this during the online checkout process or from within your account page. This balance can then be used at any time to pay for all or part of an order. If it only covers part of an order's total cost, the remaining must be covered by a card or PayPal payment. Evo has also partnered with Blispay to offer to credit on orders over $199. This allows you to pay nothing for 6 months, with no interest, as long as you pay in full at the end. You will also get a 2% discount in the form of cashback. If you order is being sent to one of the lower 48 states you can qualify for free shipping without using an Evo free shipping code. All you have to do is spend over $50 in one go. This applies to the Ground Shipping option. You can pay extra for faster options. You can also sometimes find an Evo free shipping code regardless of the amount you spend. Evo.com accepts returns no questions asked for an entire year after the purchase date, so long as the items are still new and unused. To an initiate a return you can login to your online account and print a prepaid shipping label, the cost of which will be deducted from your refund or store credit, unless you yourself received the item in a damaged or defective condition. In that scenario you are advised to contact customer support right away, rather than waiting until months down the line. Obviously if you have used an Evo promo code to get a discount, the amount discounted is not going to be included in the refund. You can also try ThinkGeek and Walmart, As an alternative to Evo. @AdamKoch_Otsego This is awesome to hear and I'm happy Landon got you all set up! Have fun and surfs up!